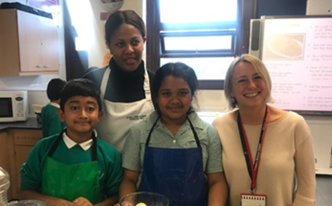 On Monday 12th November, it was wonderful to see Kate Gooding, the Headteacher of Virginia Primary School and her lovely Year 5 students, cooking chicken noodle stir fry. 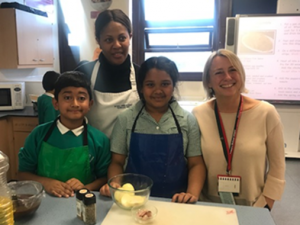 The students had a great time and enjoyed cooking a healthy meal thanks to Ms Howe, our fantastic Hospitality teacher, who led on this. 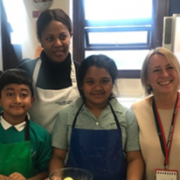 Our partnerships with primary schools is thriving under the leadership of Mrs Holden, the academy’s new Executive Principal and we look forward to working closely with our primary schools over the coming year.